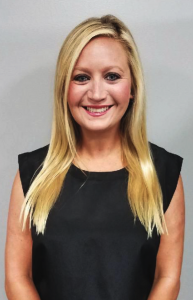 Auto Remarketing Magazine has named Katie Rushing Polk, 33, National Remarketing Manager at Southeastern Auto Auction of Savannah, Ga., one of the 40 Under 40 Top Leaders in Remarketing. Below are her comments from the September 1-14, 2018 issue. “Southeastern Auto Auction has given me the opportunity to succeed personally and professionally. I am proud of helping build and lead our company and coworkers to achieve exponential growth in both the fleet/lease department and the auction as a whole. I have had the opportunity to work with some amazing individuals whom have always challenged me and pushed me to excel. Over the past ten years I have held multiple positions with Southeastern Auto Auction, but I am most proud of my current role.